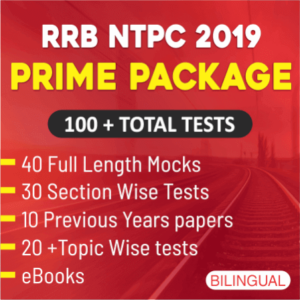 As you all know, RRB NTPC Exam will be held in the month of June/September 2019. We are providing daily learning quizzes, we aim to provide the best study materials to our students. Attempt this quiz and check your preparation. निम्नलिखित चार में से तीन एक निश्चित तरीके से एक जैसे हैं और इसलिए एक समूह बनाते हैं। वह कौन सा है जो उस समूह से संबंधित नहीं है? Q2. Three of the following four are alike in a certain way and so form a group. Which is the one that does not belong to that group? Sol. Lotus is grown in Mud. Q3. Three of the following four are alike in a certain way and so form a group. Which is the one that does not belong to that group? Sol. Only 25 is a perfect square. Q4. Three of the following four are alike in a certain way and so form a group. Which is the one that does not belong to that group? Sol. ‘Large’ is an adjective whereas others are noun. Q6. Three of the following four are alike in a certain way based on the English alphabetical series and so form a group. Which is the one that does not belong to that group? 2nd letter – 2 = 3rd letter. Q7. Three of the following four are alike in a certain way and so form a group. Which is the one that does not belong to that group? Sol. All others are parts of a car. Q8. Three of the following four are alike in a certain way and so form a group. Which is the one that does not belong to that group? Q9. Select the one which is different from other three alternatives. अन्य तीन विकल्पों में से वह चुनें जो इन से भिन्न हो? Sol. Typhoid, Cholera, and Jaundice affect a particular part of our body while AIDS affects the immune system. Q10. Three of the following four are alike in a certain way and hence form a group. Which is the one that does not belong to the group? Sol. All others are synonyms.